A contemporary rendition of 'Stand by Me' performed by a gospel choir is probably not what most guests were expecting as a primary musical selection at a Royal Wedding which, to me, made it even that much more amazing. The voices were pure and sincere and gave me the best case of the chills I've had in a long long time. Even though it's a technically an American pop song, it was arranged and delivered in a respectful, beautiful way. If you're getting married in a church where traditional "church music" is the protocol, it may not hurt to consider contemporary, church-appropriate arrangements of American pop songs. The advantage? The lyrics could grip the minds and hearts of the guests in attendance, just like they did at the Royal Wedding of the Duke and Duchess of Sussex over the weekend. I've been reading on many social media posts and blogs that people were underwhelmed by Meghan Markle's bouquet and thought it should be much grander for a Royal Wedding. However, not so fast. The bouquet was loaded with significant symbolism which is far more powerful than an over-the-top bouquet designed for the sake of being over-the-top. 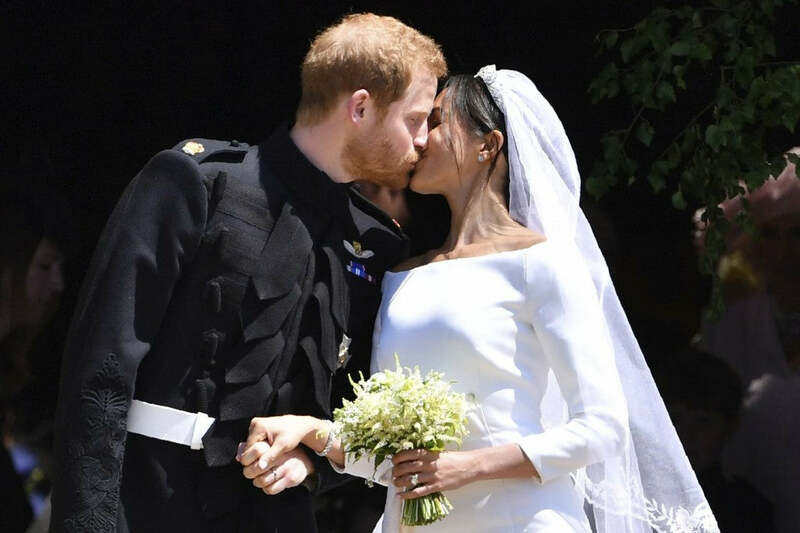 Not only did Harry reportedly handpick some of the flowers the day before the ceremony, the couple also opted to incorporate forget-me-nots, allegedly Princess Diana's favorite flower. (I'm tearing up all over again over here, you guys!) Anyway, consider using a flower that has a known meaning, something that resonates with you. If you have a garden, you may even consider asking your florist to add a sprig or two from your own supply. While Meghan Markle's gown was simple and chic, her veil was ornate with much more detail. 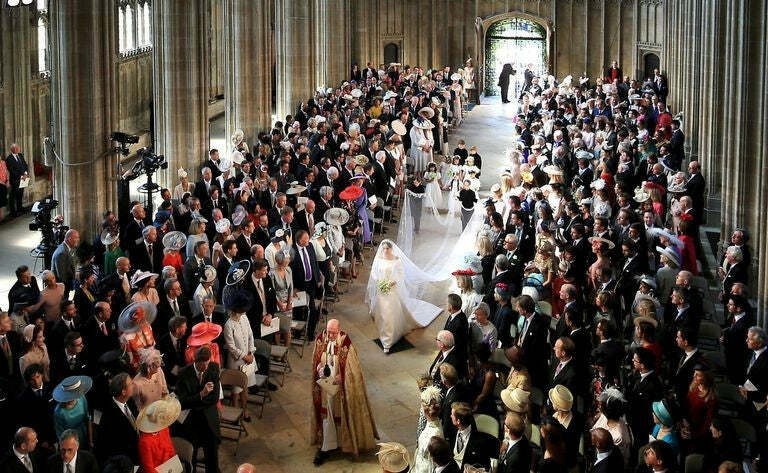 Designed by Clare Waight Keller, the artistic director of French couture house Givenchy, the veil was 5 meters long and featured all 53 members of the Commonwealth family of nations. 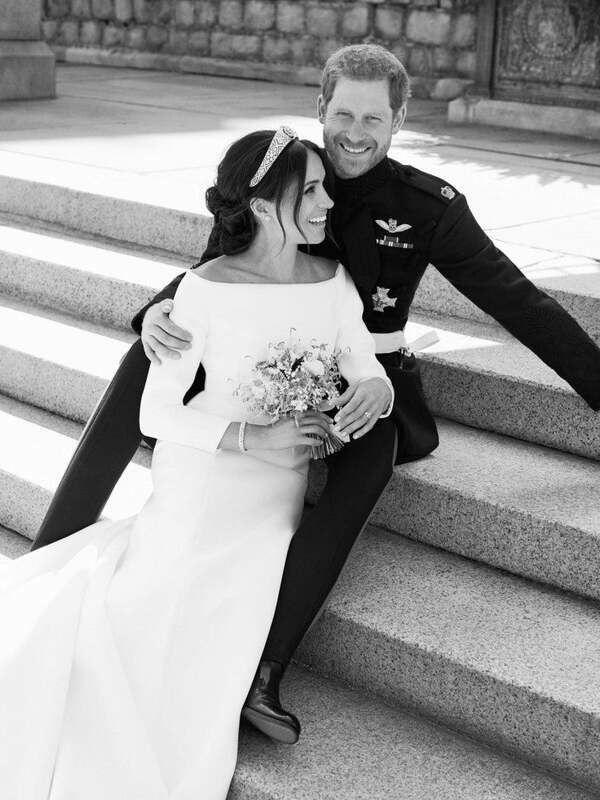 The veil featured distinctive flora of each country and also contained two of Markle's favorite flowers: wintersweet which grows on the grounds of Kensingtion Palace and the California poppy as a nod where she was born. Obviously something so ornate isn't realistic for every wedding but taking this idea and implementing it on a smaller scale is a nice touch such as a small bit of embroidery on the inside of the gown to represent something special to you. Or, even some custom embroidery on your wedding garter. According to CNN and other sources, flowers from the Royal Wedding were graciously donated by Meghan and Harry to various charities and hospices on the day following the wedding. The florals were designed by London-based Phillippa Craddock and adorned both St. George's Chapel and St. George's Hall in Windsor Castle. You can consider doing the same with your own florals. Organizations like Repeat Roses make this easy to accomplish! 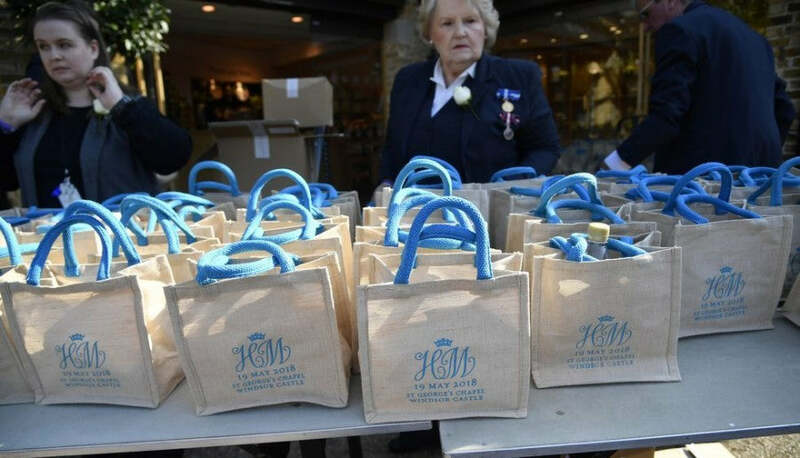 While not entirely sure how the celebrity and VIP wedding guests were welcomed to town, we do know that the approximate 2000 guests invited to view the happenings within the grounds of Windsor Castle were gifted personalized goodie bags from Harry and Meghan. The bags contained a program, fridge magnet, tin of shortbread, chocolate coin depicting Harry and Meghan, a Windsor Castle water bottle and even a 20% off voucher for the Windsor gift shop. Rumor has it these are now selling on eBay for huge amounts of money upwards of 50,000 GBP. While you obviously don't need to spend 50,000 GBP on welcome bags, it's a nice thing to work into your budget as a way of welcoming your guests to town and thanking them for investing the time and money to be there! Which of these elements were your favorite and do you plan to incorporate any of these into your big day? We always love hearing from you so drop us a note in the comments of you can always reach out via our contact page. Oh, and wish me luck coming back down from the clouds so I can get back into the swing of things around here!